In the simplest form of sports betting there are two possible outcomes to your bet. The first is that you lose, and the second is that you win. If you win you get your stake back plus your winnings. Generally, the more difficult it is to guess the outcome, or the more variations that exist, the better odds you will get. For example, you would get better odds for saying that team A will win 2-0 than you would for simply saying that team A will win. A more complicated form of sports betting is an accumulator, also known as a parlay. This involves predicting the outcomes of more than one event. If the first event wins, the winnings are placed on the outcome of the second event. This sort of bet offers better potential returns, but they are more difficult to win. And yet another form of sports betting is handicap betting, which is also known as the point spread. This is betting where the bookmaker predicts the result of an event and offers odds on that result. You get better odds in this type of bet, but your selection has to overcome the handicap before you win. An example is a football team that is the clear favourite to win a match. In this situation you would not get great odds for a simple winning bet, but the bookmaker will give you better odds with a -1 handicap. For that bet to pay out though, the football team has to win by at least two goals. Tips are loved by all gamblers, providing they come from a good source. If the source of the tip is well informed and they have a good track record, a tip can increase the chances of winning. This is because good tips come from individuals who have an in-depth knowledge and insight into an event. This could be the form of a horse, team or competitor. It could also be knowledge of the conditions and their suitability to those competing, or it could come from a deep analysis of statistics. Free betting tips are available from a range of sources. This includes established newspapers and the websites of well known brand names. New publications also exist, mainly on the internet, plus there are individual bloggers who offer tips. The quality of these free betting tip services can vary greatly, so they require extensive research to find out if they offer the potential for good returns. It should also be noted that free betting tips are not a guarantee of success – they can still lose and often do. Therefore you should not place a bet based on a tip thinking that it will absolutely win. These services differ from other tipping services which charge a fee. In many respects the free betting tipsters have a more difficult job because their performance is more visible and public. Free bets are offered by online bookmakers to encourage you to sign up to their website, or to encourage you to make more deposits and place more bets. While they always have conditions attached, they offer risk free betting. Several different types of free bet exist. The main options are bet match free bets, and deposit match free bets. In a bet match free bet the bookmaker will match the amount of your first bet, up to a maximum amount. For example, if the bookmaker offers a £10 bet match free bet, you will get £10 deposited into your account for free once you place your first £10 bet. Sometimes bookmakers work off percentages which means you get even more. For example, a 200 percent bet match free bet would mean you get £20 for free whenever you place your first £10 bet. Deposit match free bets are calculated whenever you put money into your online bookmaker account. There is usually a minimum and a maximum amount. For example, the offer could be to deposit at least £10 into your account and the bookmaker will match it, up to a value of £100. So if you put in £10, the bookmaker will add £10 giving you £20. But if you put in £100, the bookmaker will also put in £100, giving you £200 to bet with. Two final things you should look out for in regards to free bets. The first is those that have a keep stake condition. This means the stake will not be returned to you even if the bet you place wins. The other thing to look for is the turnover condition. Most free bet offers require you to play through the value of the bet a number of times before you can withdraw any winnings. Online bookmakers offer similar services to High Street bookmakers, except they operate through the internet. Most High Street bookmakers offer an online service, plus there are also bookmakers that take bets exclusively online. You can bet on sporting events from all over the world at online bookmakers. This includes favourites like horse racing and football but it also includes boxing, cricket, rugby, greyhound racing, snooker, tennis, cycling and most other sports. Online bookmakers also take bets on other events. This includes things like the performance of financial markets, the weather, the outcome of elections, and the results of popular entertainment programmes on television. Online bookmakers also offer a wide selection of bet types within each event. This includes predicting the winner of an event, predicting the score, or predicting other outcomes, such as the score at halftime, or the first goal scorer. Handicap betting is also possible as are accumulator bets. Many bookmakers offer in-play betting too. This is where you can bet on the outcome of a sporting event while it is actually taking place. This is a fast moving market though which changes regularly based on what is happening in the event. 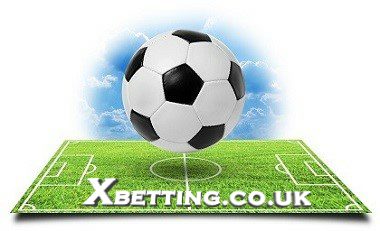 Most online bookmakers offer free bet offers to new customers in addition to regular free bets to existing customers. Finally, betting exchanges offer a variation on the traditional model of betting against a bookmaker. In a betting exchange you can either back an event or you can lay it. Placing a lay bet essentially means betting that the team, horse or competitor is going to lose. Betting exchanges therefore allow you to perform similar to a bookmaker.